Census data is used to determine the number of seats each state has in the House of Representatives and to distribute more than $675 billion in federal funding. An undercount would deprive California of its fair share of billions of dollars in federal funds and threaten at least one of the state’s seats in the House of Representatives. 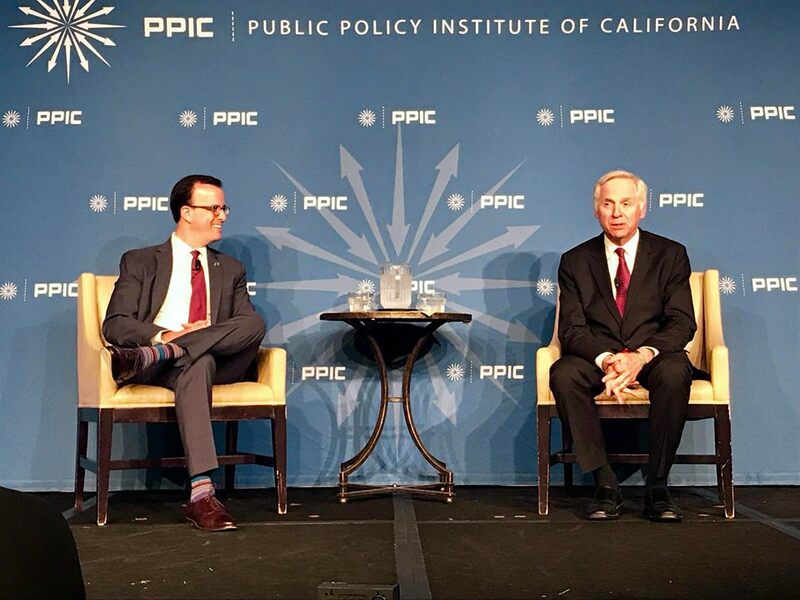 In the one-on-one conversation with Mark Baldassare, President and CEO of the Public Policy Institute of California, Assemblymember Berman noted that federal inaction, the addition of a widely-criticized citizenship question, and the prevalence of historically hard-to-count communities in California threaten a complete and accurate count. In response to the unique challenges facing California, Governor Brown included $40.3 million in the Fiscal Year 2018-2019 budget for Census outreach. The Governor’s office in conjunction with the California Complete Count Committee is coordinating a series of regional meetings between now and August 2018 to bring together essential local and regional partners and coordinate census outreach efforts. The Assembly and Senate’s recently-established, bipartisan select committees will work closely with the Brown administration, assist with outreach, and hold informational hearings across the state. Video of the event will be available online, courtesy of the Public Policy Institute of California.